We're adding Baby Beduga, a brand new pocket diaper, to our list of favorites. Read our full review below to find out what we love about this made-in-USA diaper, and then enter to win one of your very own! This made-in-America pocket diaper is very well made and incredibly sturdy! These diapers are sewn in El Paso, Texas, and hit a price point that has been, until this point, only available on imported diapers - just $12 each! "I love the double gusset around the legs, which helped to hold in messes very effectively." 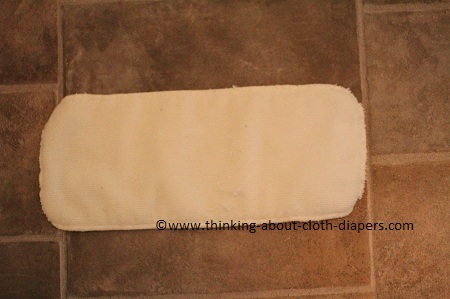 This diaper has a microsuede inner, which wicks the moisture away the baby. "I also love the front-stuff pocket opening, which makes assembling this diaper quick and simple." The pocket opening on this diaper is far enough back from the front to prevent leaking. This diaper features a PUL band across the front, which helps hold the insert in place, making sure the microfiber doesn't come in contact with your little one's sensitive skin. This band also means that moisture won't escape through the front of the diaper, something that's important for tummy sleepers! 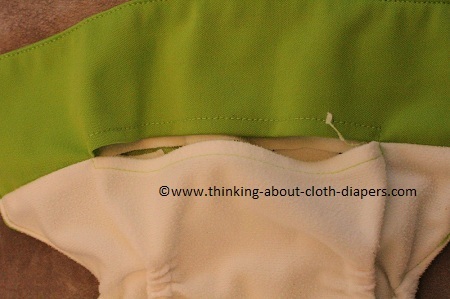 The Baby Beduga 2-in-1 also features a back band of PUL, which is a fairly rare feature in pocket diapers! 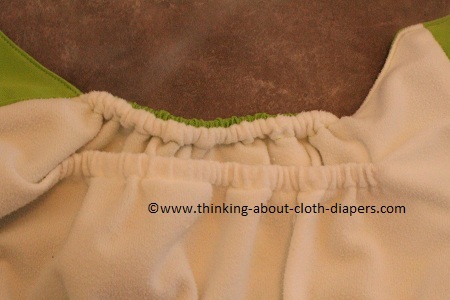 Together the front and back bands of PUL prevent leaks, and also help ensure that the diaper lays flat. 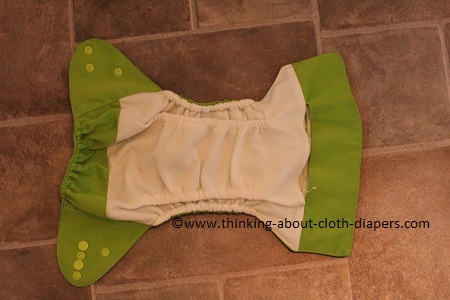 Lots of cloth diapering parents love hip snaps, and Baby Beduga also includes this feature. There are 3 snaps on each tab, 2 at the top, and one hip snap. "While it can be a bit more difficult to get all three done up on a squirmy toddler, they held the diaper in place and I never worried about the diaper shifting and having leaks once it was done up." The Baby Beduga 2-in-1 has a waterproof PUL outer, and comes in 6 solid colors, each with color-coordinating snaps. Baby Beduga is based in Wyoming, and is family owned. They are determined to help families of all income levels transition to cloth, and they make very little profit doing it. Additionally, Baby Beduga has a strong focus on social giving, and donates diapers to orphanages around the world! The Baby Beduga has 5 rise settings and cross-over waist snaps, which mean that it can be sized down to fit almost from birth. This diaper is roomy, which means it should fit most toddlers right up to potty training. My sister said, "I found the diaper fits a little large on my slim toddler, but overall the diaper is very trim on." Yes, on a scale of 1 to 4 (with 1 being never, and 4 being absolutely! ), I give Baby Beduga's 2-in-1 a 4. 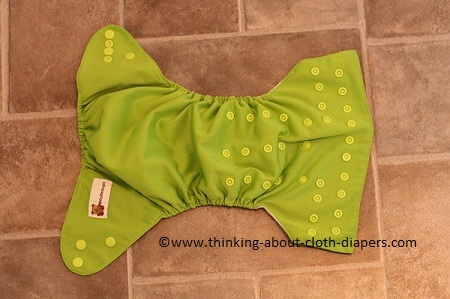 "Overall this is a fantastic diaper and you can't beat the quality or the price point of the diaper! I would totally recommend these to any new mom wanting to try cloth diapers and is looking to do it on a budget. Great diaper, great price!" There isn't a lot I would change about this diaper! That said, I would love to see improvements in the insert - or perhaps an option to upgrade for a fee! The Baby Beduga 2-in-1 comes with a microfiber terry insert. "While this insert was comparable to other microfiber inserts in my stash (for example, Fuzzibunz), I found that the insert wasn't incredibly absorbent." This diaper is more absorbent if it is either double-stuffed (using 2 microfiber inserts), or paired with another more absorbent insert. Please note: the diaper insert included with the Baby Beduga diaper is made in China, but the diaper itself is sewn in the USA. At this time, Baby Beduga diapers are available for sale on their website, Baby Beduga. Baby Beduga is offering one lucky winner a chance to win a Baby Beduga diaper in their choice of color from their website! 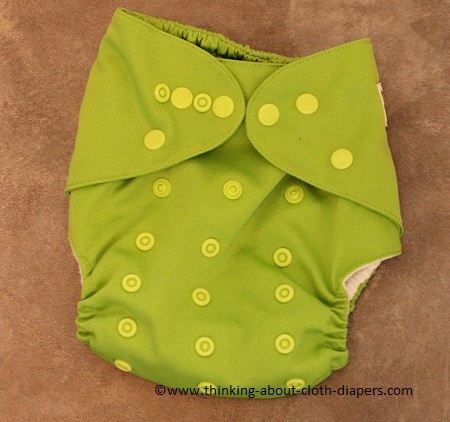 Don't miss this chance to try this made-in-the-USA cloth diaper! Enter to win using the Rafflecopter widget below! Disclosure: Baby Beduga provided me with a free pocket diaper and insert to facilitate this review. The opinions expressed in this post are entirely my own, and your experience with the product may differ from mine. I only recommend products or services I use personally and believe will be good for my readers. I am disclosing this in accordance with the Federal Trade Commission’s 16 CFR, Part 255: “Guides Concerning the Use of Endorsements and Testimonials in Advertising.” For more information, see our Disclaimer and Copyright.